Guitarist, and founding member of Canadian band Art of Dying, Greg Bradley, announced today that he is no longer with the band. It should have not been a surprise, as recent photographs of the band filming in Toronto, Canada, and those taken while recording of the upcoming release was taking place in the US, featured only Jonny; vocals/guitar, Cale; bass, Tavis; guitar and Jeffy; drums. AOD signed with a branch of Eleven Seven in 2014. In return for his open and honest announcement, AOD publically wished Bradley all the best. Headbangerwoman echos that sentiment. All the best G Reg! 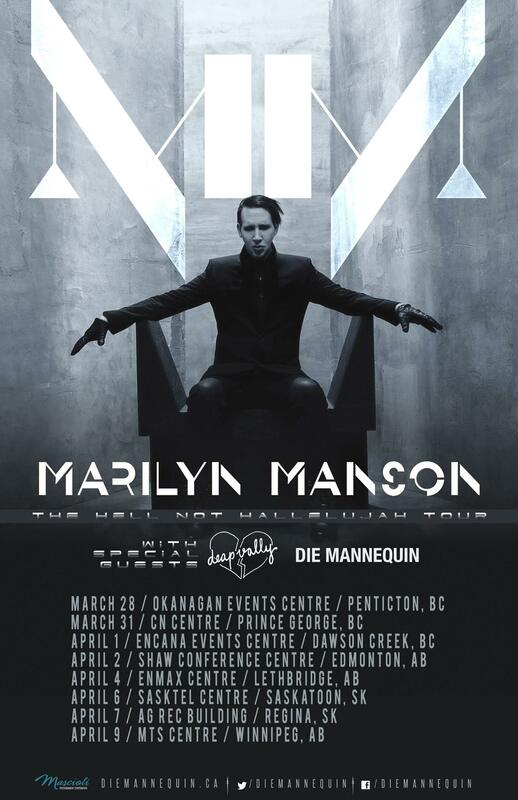 JUST ANNOUNCED on their Facebook account….DIe Mannequin will be opening for Marilyn Manson, on Mansons upcoming Canadian tour. 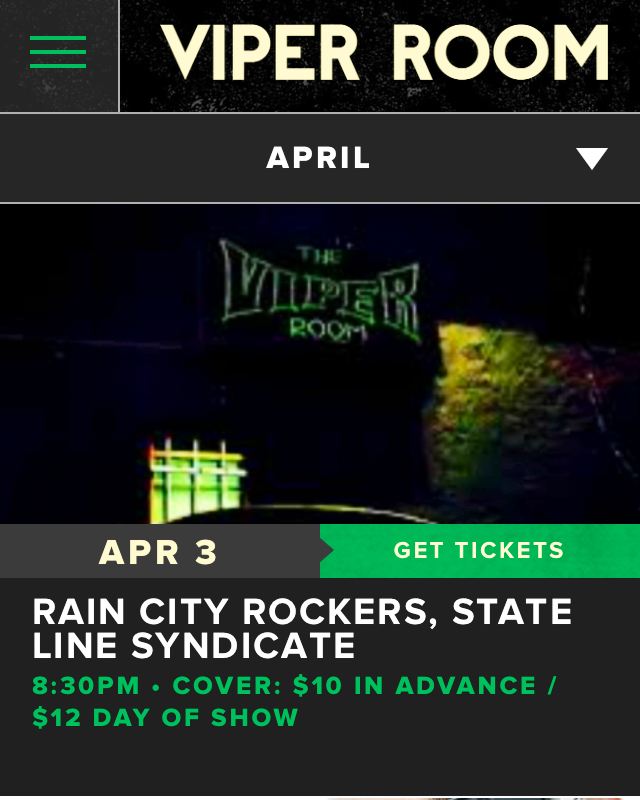 Care Failure, who last toured Canada comprehensively in 2012, now with a new band line-up, and Californias very own dynamic duo, Deap Vally, who last appeared in Canada with Queens of The Stone Age in 2013. If you were not in it for Manson, these additions should sway your thought process. 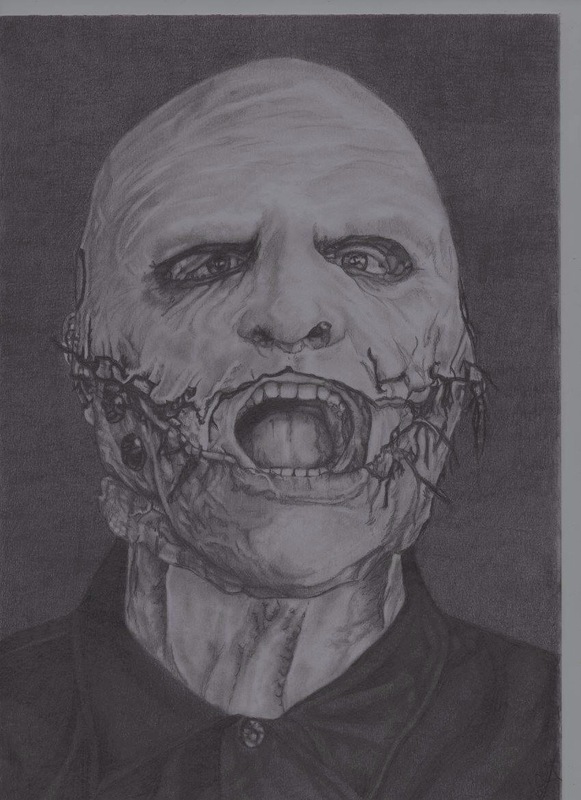 English artist Jane Greenwood presents Corey Taylor in his most recent Slipknot guise. This picture is not for sale, but Greenwood does accept commission work.